These three films bring a variety of stunning visuals, original narratives, and even brilliant allegories to the filmmaking table. This is what indie filmmaking is about — bringing audience the kind of work that Hollywood wouldn’t touch. L’OISEAU QUI DANSE (2:19) An origami bird’s journey through a field of light. THE PAST INSIDE THE PRESENT (12:13) A couple attempts to renew their dying relationship by plugging directly into recordings of their memories. A MEDITATION (15:47) A lonely middle-aged guy meditates, sleeps and sells things on Craigslist, then someone comes to buy a DVR and ends up staying for much more. Click here to listen to an interview with Jean-Marie Marbach, creator of L’oiseau qui danse. 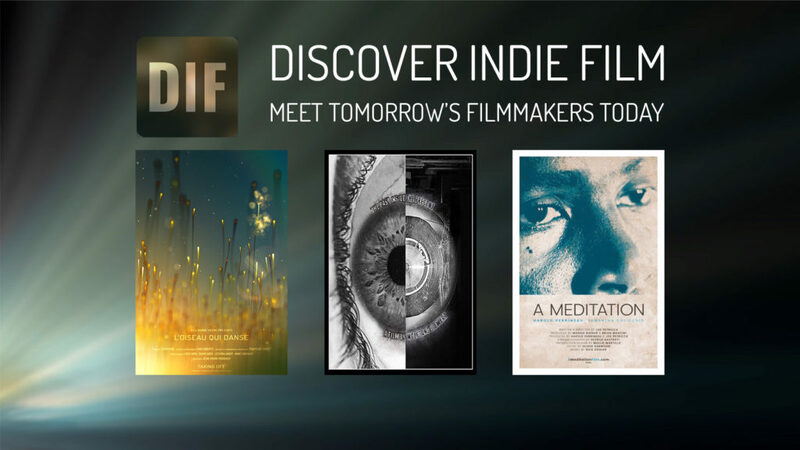 Click here to listen to an interview with James Siewert, the writer/director of The Past Inside The Present. Click here to listen to an interview with Joe Petricca, writer/director of A Meditation.